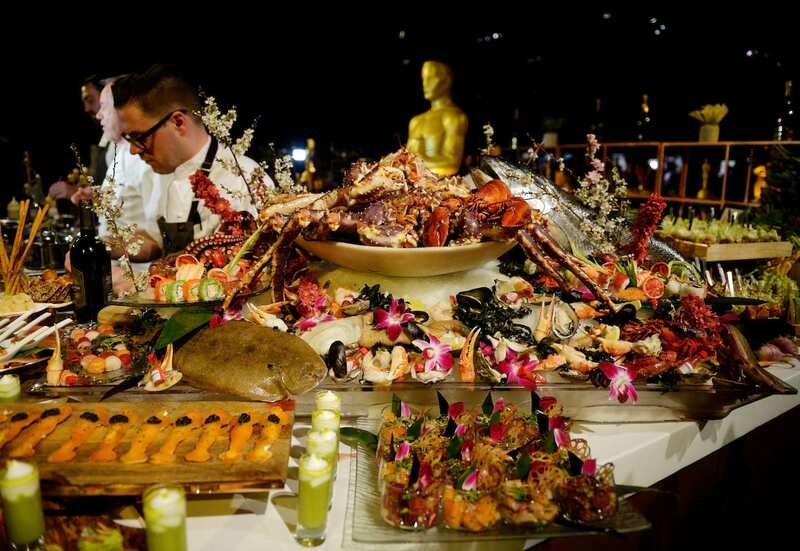 With designer dresses, $100,000 swag bags and a guest list catering only to the Hollywood Elite, you wouldn’t expect the Oscars to be an event that cares much about wasting food. But thanks to one inspiring actress and a group initiative, the untouched leftovers of fancy food like sushi, black truffle short ribs and gold-dusted truffled popcorn were redistributed to hungry people in Los Angeles. Slumdog Millionaire actress Freida Pinto and Copia – a San Francisco-based company that works to reduce waste and feed communities in need made sure that no piece of lavish party food went to waste at this year’s 89th Academy Awards. Pinto took to Instagram to share with fans that the food from one of the Oscars parties was given to the LA LGBT Center – just 3.3 miles away from the Women in Film event she attended. And according to Pinto’s Instagram, the initiative rescued enough food from Oscar weekend to feed 800 people. The Los Angeles Regional Food Bank reports that an estimated 1.4 million people in the city live with food insecurity, meaning approximately 16 per cent of them don’t know where their next meal is coming from. Previously, culinary mastermind behind the Oscars menu Wolfgang Puck has partnered with charity organisation Chefs to End Hunger. Right around 11 at night, when we know it’s starting to slow down, and the celebrities have moved on, we take a look at what we have left,” Kelly told Salon. “The short ribs we expect to be left over, because people only take a little bite. The chicken pot pie is always left over, and pasta. Here’s to hoping that this food initiative is put forth every Oscars weekend.